Hadrian's Wall is one of the most famous monuments left by the Romans, but is also one of the hardest to understand. It is mentioned by only a handful of ancient authors, none of whom give a detailed explanation of why it was built and how it was expected to function. The evidence for the Wall comes from centuries of work by antiquarians and more recently archaeologists. 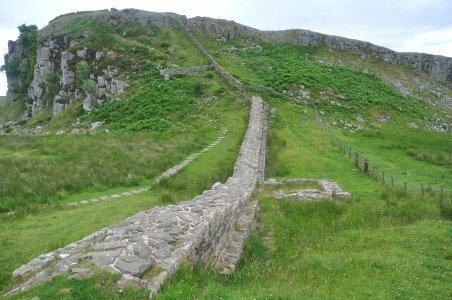 Even so more some 90% of Hadrian's Wall has either never been uncovered or has long since been destroyed. All this means that understanding the Wall is like trying to put together a complicated jigsaw with most of the pieces missing and without the picture on the box as a guide. This short book is my attempt to examine the evidence and put as much of the jigsaw together as possible. 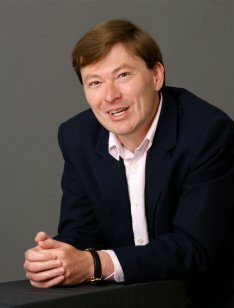 I am an historian, not an archaeologist, and the approach is to emphasise the human element. 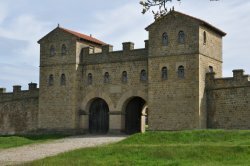 Hadrian's Wall was built and manned by the Roman army. For almost three centuries, large numbers of soldiers served there. They were accompanied by many civilians, from wives and families to traders and all the others who came to live in the communities on and around the Wall. Most elusive of all are the locals, the indigenous Iron Age peoples of Northern Britain living either side of the Roman military zone. This is a book trying to glimpse their lives as well as the military and political functioning of a Roman frontier. The UK and US editions are slightly different, but I am delighted that both are well illustrated. Apart from photographs, we have pictures by the late Peter Connolly and paintings of Roman soldiers by Graham Sumner. The author may edit your posting. Not all postings will be published.